I'm going to be sharing some "throwback Thursday" stories on le blog-a-roo, and I thought I'd start with the story of when I moved to Las Vegas! 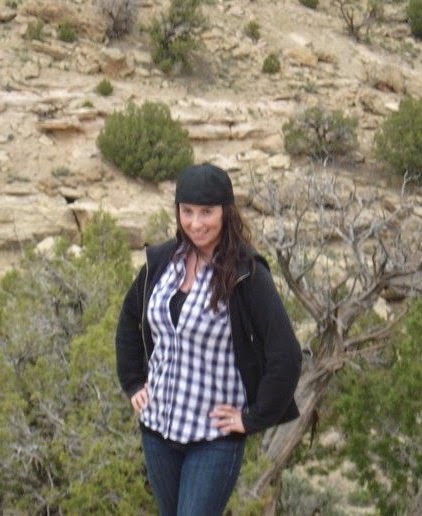 Years ago, in 2010, before AwesomeJennJenn.com was born - I packed up my car and headed out on the road. My ex, Sean, and I had been living and working in Toronto forever and we both decided it was time for a change. We worked our butts off, saved-saved - saved and eventually it was time to hit the road! We stored a few things with family here in Toronto, but for the most part - we sold, gave away and donated the majority of our belongings. We filled up my car, an incredibly tiny Pontiac Wave and headed south to Las Vegas! With no set plan for what was to happen after our stint in Las Vegas, it's no surprise that we were originally denied entrance to the States. LOL I'm a very detailed person, I like to have plans laid out and routes/itineraries easily available if needed. So, I had a detailed binder for our drive down. Each stop we were going to make, hotel confirmations, specific sites or attractions that may have been visited...but because we were not sure what the plan was after Las Vegas, US Border Patrol thought we were attempting to become illegal immigrants. LOL With reason, I suppose. I mean, we did have a car filled to the max with all of our possessions, and a dog sitting in her crate...so, I get it. But still, it was unpleasant...to say the least! What wasn't fun was sitting in the building as they took every single item out of the car and searched for God knows what. Obviously, they didn't find anything and after 7 hours of this we were sent on our way. No, no - not through the border. We were sent back and told to come back the next day and bring proof that we would be returning to Canada. How does one do this? I had absolutely no idea. Stuck in Sarnia, ON - we had no idea what we were going to do. Thankfully a family member drove down and brought us anything and everything he thought would help. Bank statements, leases, random stuff LOL. This was all being stored with him, thankfully! So, the next day we piled back into the car and headed back to the border crossing. That day, we had the nicest border patrol officers who happily welcomed us into the States with open arms....go figure!